Potholes, speed humps and debris on the road can affect the balancing of your wheels and their alignment. Tests have proven that people who ignore a vibration through the steering wheel or steering that is pulling to the left or the right, experience more rapid and uneven tyre wear. Ignoring these important symptoms can lead to greater costs in the long-term. 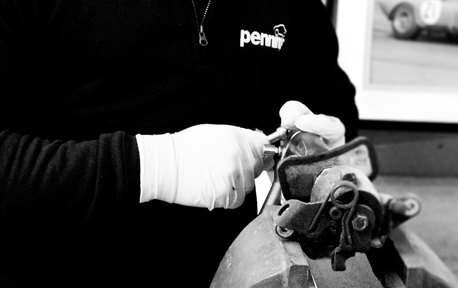 Our team at Penning’s has access to the latest equipment for wheel balancing and tracking alignment. In just a short time we can put things right, ensuring all your wheels are equally balanced with the correct geometry for smoother and safer driving.